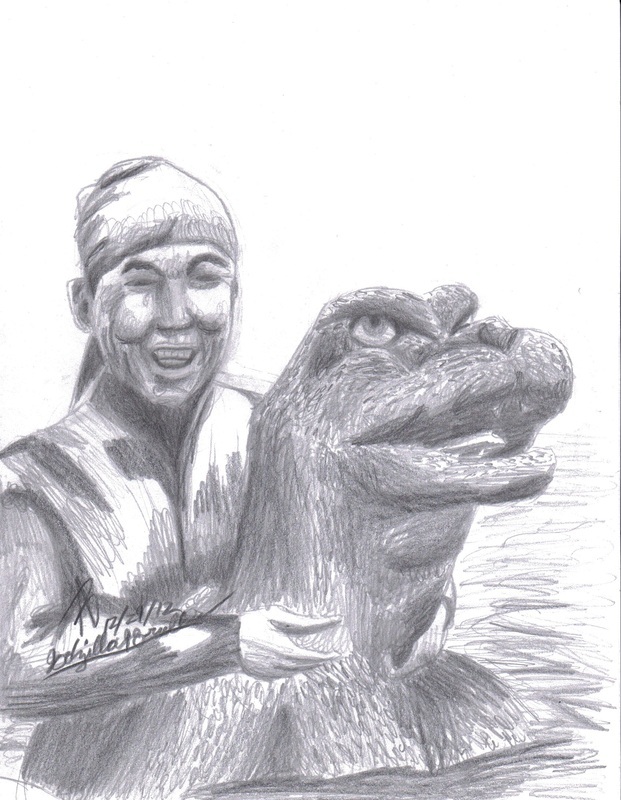 This portrait I did of well-known suit actor Haruo Nakajima. I drew this for his 83rd birthday. Like before, I didn't use measurements when drawing this. This one was harder because of the size of his head and body proportions. I feel that I did a good job.